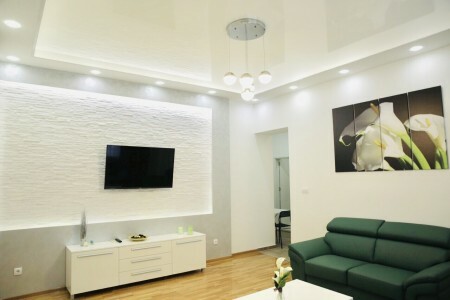 Apartments in Belgrade- Apartment Urban Oassis is located in the city center of Belgrade, in Marshala Birjuzova Street No. 1, that is a pedestrian zone. It is situated on the first floor of a residential building with an elevator and is intended for a pleasant stay of 2 persons. The apartment per day Urban Oassis is spacious and functional, modernly designed and bright. It consists of a very nicely decorated living room, then a separate bedroom with a comfortable double bed, fully equipped kitchen and bathroom with shower. It is located just a few steps from the pedestrian zone - Knez Mihailova Street, Kalemegdan, Terazije and bohemian quarter - Skadarlija. 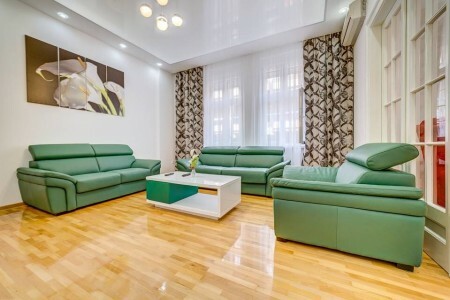 The location of the apartment is perfectly connected to all parts of the city, as there is a large number of city transport lines on the nearby Zeleni venac (Green wrath). 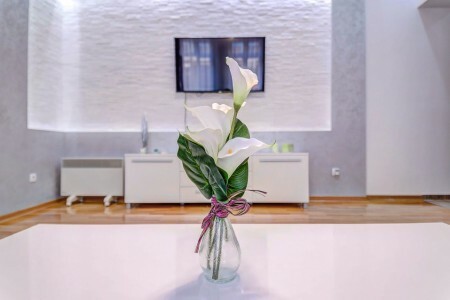 As for the accompanying contents,heating is provided with French radiators, there is air conditioning, LCD TV, wifi, washing machine, as well as clean linen and towels. 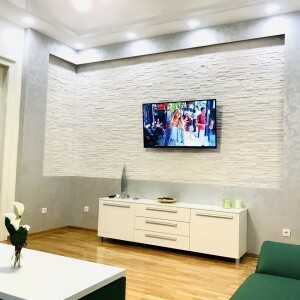 The apartment per day is surrounded by a significant number of cafes, restaurants, boutiques, supermarkets, as well as the Zeleni venac green market. If you are arriving with your own transport, only 100 meters from the apartment is a public garage Obilićev venac, that is available 24/7. If you are looking for an ideal accommodation in Belgrade, the Urban Oassis apartment is your right choice. Welcome.